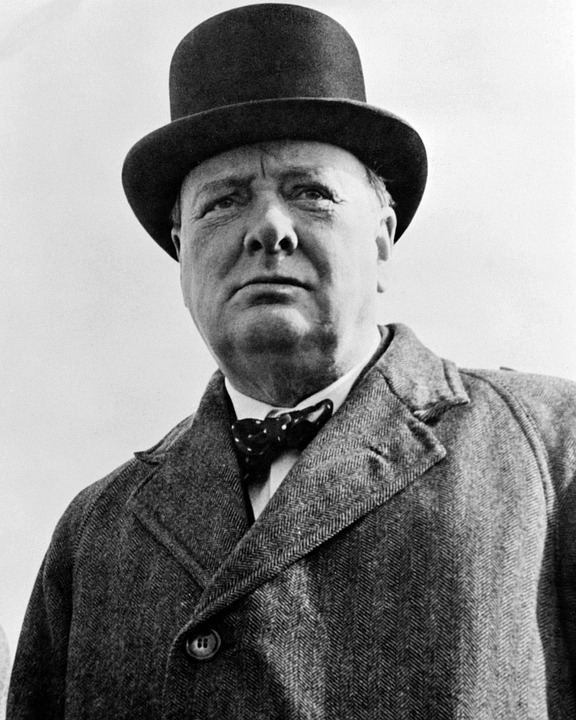 Less than a year after the end of World War II, the British Prime Minister, Winston Churchill, delivered a speech that introduced the Cold War era term ‘iron curtain’. His March 5th, 1946 speech at Fulton, Missouri, United States was titled the “Sinews of Peace”. It was a significant step in the early stages of the Cold War. He used the term ‘iron curtain’ to describe the line in Europe that divided Western Europe from Eastern Europe. The Western European nations were self-governing and based on the western principles of capitalism and democracy, while the Eastern European nations were under Soviet communist control. Churchill’s speech was viewed differently by different people. Some viewed it as a message from a leader that was trying to warn the free world of danger while others viewed it as instigating a conflict with the Soviets. Ladies and gentlemen, the United States stands at this time at the pinnacle of world power. It is a solemn moment for the American Democracy. For with primacy in power is also joined an awe-inspiring accountability to the future. If you look around you, you must feel not only the sense of duty done but also you must feel anxiety lest you fall below the level of achievement. Opportunity is here and now, clear and shining for both our countries. To reject it or ignore it or fritter it away will bring upon us all the long reproaches of the after-time. A shadow has fallen upon the scenes so lately light by the Allied victory. Nobody knows what Soviet Russia and its Communist international organization intends to do in the immediate future, or what are the limits, if any, to their expansive and proselytizing tendencies. I have a strong admiration and regard for the valiant Russian people and for my wartime comrade, Marshall Stalin. There is deep sympathy and goodwill in Britain - and I doubt not here also - towards the peoples of all the Russias and a resolve to persevere through many differences and rebuffs in establishing lasting friendships. We understand the Russian need to be secure on her western frontiers by the removal of all possibility of German aggression. We welcome Russia to her rightful place among the leading nations of the world. We welcome her flag upon the seas. Above all, we welcome, or should welcome, constant, frequent and growing contacts between the Russian people and our own people on both sides of the Atlantic. It is my duty however, for I am sure you would wish me to state the facts as I see them to you. It is my duty to place before you certain facts about the present position in Europe. The safety of the world, ladies and gentlemen, requires a new unity in Europe, from which no nation should be permanently outcast. It is from the quarrels of the strong parent races in Europe that the world wars we have witnessed, or which occurred in former times, have sprung.